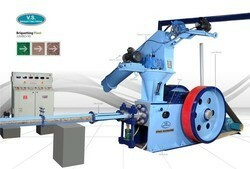 Prominent & Leading Manufacturer from Rajkot, we offer biomass briquetting machine and briquette project. With the competency and knowledge of our workforce, we are offering our clients a superior quality range of Biomass Briquetting Project. Offered range is high on demand in the market for its striking features like less maintenance and easy installation. Manufactured at our end, offered range is perfectly suited for heavy-duty applications in engineering industries. We provide this range in different models in accordance with clients' requirements. With the valuable assistance of skilled team of professionals, we are offering an extensive quality Briquette Project which is highly admired by our clients for variegated quality attributes. At our end, our offered range is precisely designed using quality assured components and progressive technology in sync with set industry standards. 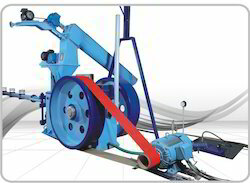 Provided range offers utmost efficiency for slotting a range of heavy metals. Besides this, our prestigious clients can avail this range from us at market competitive prices.